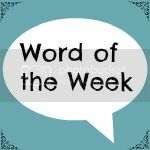 Share the post "Word of the Week 29/4/16"
OK, well if you’re not on Instagram I sort of feel the need to apologise as it’s all I’m about to bang on about, but then the other part of me wants to shout ‘why not?’! It’s so pretty there! So over the last week or so I have been enjoying popping over onto Instagram. I’ve made a few changes to my stream and done things a little differently there and I am really enjoying coming up with things to share, as well as thinking about how best to photograph them. I like photography, but this is as far as my very limited skills currently take me, so it’s a fun place to play around. 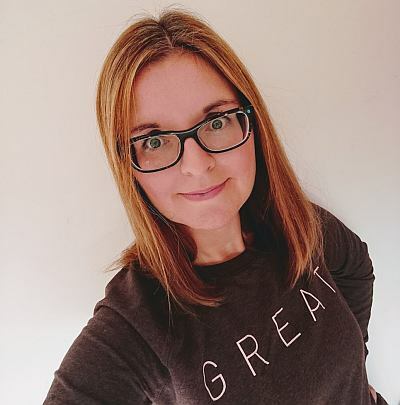 I have also been experimenting with different hash tags to find new communities, been trying out different filters and have started to get a feel for the best times to post to get some chat going. It’s a bit like a teeny tiny blog there, and it is a rather lovely place to be. I have also launched my second Instagram competition over there (both are still running, both are papery!) and I plan to use this platform to run more in the future. Which brings me to my third point. Some of you may already know and follow the #BringBackPaper hash tag over there, a lovely one to use when you’re sharing any papery snaps – new books, what you’re reading, stationery, magazines, scrapbooking, whatever! Well, I’ve been developing and planning next month’s #BringBackPaper activity which will be about sharing more there, so do watch this space next Wednesday for more details if that sounds like something for you. Are you on Instagram? Do you like it? Please grab the badge, link up and share. I absolutely love Instagram too but my app has changed this week so trying to get used to it! It’s my favourite social media as so pretty! Hi Jocelyn, I do enjoy Instagram. It is a fun and happy social media platform. Like you I am still figuring out the best way to use it, but at the end of the day it’s fun and a place to share photos. Debbie recently posted…It’s Transition Time! I like Instagram, but I do tend to be a bit hit and miss with it. I really should make more effort with it. I can be like that, but lately, I’m there a lot! I love Instagram. It always feels a happy place. Love finding new people with streams full of colourful, beautiful photos. I know exactly what you mean about it being like a little blog post. I’m finding I post more there than on my blog, so I need to bring the balance back. Cheryl | TimeToCraft recently posted…Ta Da! A daisy blanket ready for spring! It is happy there! Yes, I often find myself sharing something there which might have been a blog post at some point – it’s easier, though! Ah, thank you. I will! Ah, I love to scroll! I was a latecomer to Instagram but I do love it. I’m trying to post more regularly now as that seems the way to keep finding new people and ideas. Yes, I think so. It’s a fun place to connect and chat. There are so many! Oh, the weather is so odd! Mine, too, it’s so pretty there! Thank you,you too ? I love Instagram but probably don’t use it as much as I should…. I’m not on Instagram but having heard the word ‘stationery’ I think I could be tempted to dabble in it. Is it easy to use? Yes, do dabble! It’s incredibly easy to use, just download the app and you’ll be good to go in a few minutes.